The authors find that learning in organizations that employ innovation and technology in their operations is fostered and incorporated in work environment for enhancing innovation while maintaining peak competiveness. It is divided across several segments, which include but are not limited to experimentation, risk tolerance, interaction with the external environment, dialogue, and decision-making. Conversely, this paper also examines several instances in which organizations failed to adopt a learning environment. Research illustrates that companies that fail continuously to improve fail because they can no longer competitively operate in today's global marketplace by holding onto the way work was once accomplished. Today's work environment is more demanding and less structured than in the past and, therefore, companies must adopt or they will become irrelevant. This paper also illustrates how learning actually occurs. Furthermore, the authors attempt to show the nascent relationship between learning and brain/mind principles at a cursory level. The paper also shows how the same basic principles utilized in educational learning can be applied to enhance corporate learning among adult learners. The rise of technology and knowledge as a production factor in organizations has not only changed the rules of managing organizations, it is also rewriting the learning processes in organizations, especially in the knowledge-intensive organizations as they depend heavily on information and communication technology (ICT). 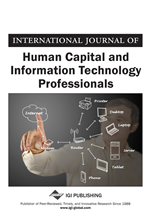 Chadha and Saini (2014), for example, find that knowledge is enhanced by information technology (IT). IT, used as a learning tool, has also been found to benefit organizational learning and financial performance. However, when we look at the past, we find that most executives of the traditional organizations achieved good performance by practicing relentless execution by focusing on efficient production and delivery of goods and services because then that was the sure path to please customers and achieve raving financial results. Those managers who did not focus on execution even briefly faced peril (Edmondson, 2008). Today, however, in the knowledge environment, organizations that create new knowledge, constantly update it, and diffuse it throughout the organization for application in everything they do are more effective than organizations that simply promote and implement the execution model (Garvin, Edmondson, & Gino, 2008; Rao & Argote, 2006). Organizational learning and knowledge creation play a substantial role in innovation. Facilitation of learning will lead to significantly higher innovation levels within the firm. Unfortunately, in contemporary organizations, failures far outnumber successes, and improvement rates remain distressingly low because most companies fail to grasp that continuous improvement requires a commitment to learning (Garvin, et al., 2008).